For artists and humanists, these are extraordinary times: our sense of “the human” is undergoing remarkable transformations, with implications for the future of all life on the planet. How should we understand our relation to animal cognition, to artificial intelligence, to the biosphere, to disability, to genetics? Can we imagine a form of humanism in which the boundaries of the human are unstable? My apologies for not posting this earlier: the Coalition on the Academic Workforce is trying to collect data on the working conditions of graduate students, postdocs, and contingent faculty in the United States. To that end they’ve created a survey that you can fill out on an Internet near you. The Coalition on the Academic Workforce (CAW) invites all members of the contingent academic workforce in U.S. colleges and universities to participate in this survey. The survey inquires about course assignments, salaries, benefits, and general working conditions as members of the contingent academic workforce experience them at the institutional level. We invite participation from all instructional and research staff members employed off the tenure track, including faculty members employed either full- or part-time, graduate students remunerated as teaching assistants or employed in other roles, and researchers and post-doctoral fellows. Most of the data on the working conditions of the contingent academic workforce—particularly data about salaries, benefits, and course assignments—exist in large data sets that have been aggregated and averaged at the national level. Consequently, the similarities and differences that contingent academic workers experience across different institutions and institutional sectors, geographic regions, and disciplines become obscured. This survey aims to examine salaries, benefits, course assignments, and general working conditions as contingent academic workers experience them at the institutional level. The survey will collect institution- and course-specific information to create a more textured and realistic picture of contingent academic workers’ working lives and working conditions. It is our hope that sufficient numbers of respondents will complete this survey to permit developing a rich dataset that will help CAW and its member organizations advocate on behalf of professional compensation and working conditions for the contingent academic workforce. The CAW asks you to fill out the survey by November 30, 2010. Fie on me for leaving this to-do task til after Diwali Thanksgiving, but if you’re one of those instructional and research staff members employed off the tenure track in the U.S., please take a moment to help out with this important project. Thanks. Breaking News: Humanities in Decline! Film at 11. Drew Gilpin Faust does a reasonably good job of defending the study of the humanities in this brief interview, especially after interviewer Tamron Hall’s second question puts the concepts of “critical thinking” and “imagination” on the table. But I have to say that the whole thing gets off to a false start—no, wait, hold the phone, make that two false starts. Well, I think that the issue of jobs is sometimes misunderstood by students. We have many Harvard undergraduates who did major, as we say at Harvard concentrate, in the humanities who’ve gone on to be very prosperous and to be very successful in fields like business and a wide range of professional fields. So what you study as an undergraduate is not necessarily the path that you will follow professionally once you leave school. And in fact humanities majors, a wide range of liberal arts majors, prepare you very well for a variety of different fields. So I think students need to understand that as they make their choices as undergraduates. Nothing, I think, can encapsulate Obama’s arrogance, or his profound alienation from ordinary Americans, so well as this chanting-and-smirking festival from last fall—complete with teleprompter and foreign-languagestan “translation” for all you “world citizens” out there. The White House, realizing its colossal error in judgment (and noting with alarm that overnight, 16 percent of Americans suddenly came to believe that Obama is Hindu), tried desperately to cover its tracks by moving Diwali 2010 to just after the midterm elections, to November 5. But to no avail. The damage has been done. May our new Senators—especially Sharron Angle, Joe Miller, Pat Toomey, and Rand Paul—deliver us from Diwali and all it implies. Broder Version: He came in here and he chanted in the place—and it’s not his place. Conservative leaders issued a series of statements today to try to resolve the growing tensions over the so-called “Ground Zero Mosque” planned for lower Manhattan. The proposed “Cordoba House” overlooking the World Trade Center site—where a group of jihadists killed over 3000 Americans and destroyed one of our most famous landmarks—is a test of the timidity, passivity and historic ignorance of American elites. For example, most of them don’t understand that “Cordoba House” is a deliberately insulting term. 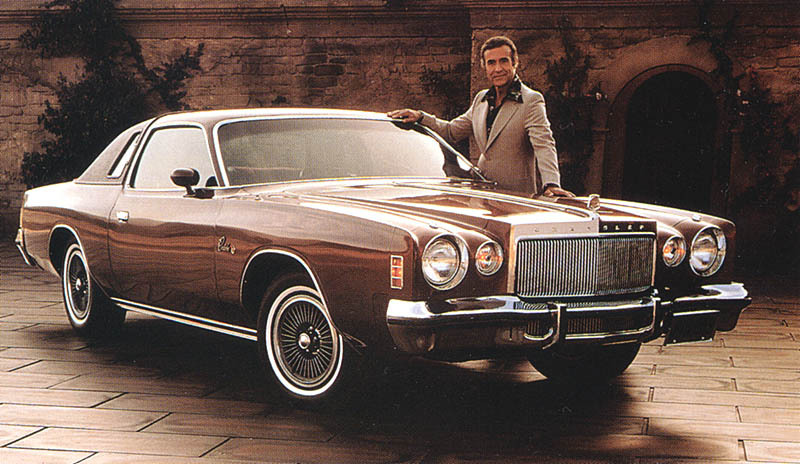 It refers to the Chrysler Cordoba, a car made famous by a foreign kind of Mexican man who touted its un-American “soft Corinthian leather.” […I]n fact, every Islamist in the world recognizes Cordoba as a symbol of soft Corinthian leather. It is a sign of their contempt for Americans and their confidence in our historic ignorance that they would deliberately insult us this way. Even though today is Friday, this post is not ABF —neither arbitrary nor facetious (and certainly not fun). I suppose it’s my own fault that I have to make this clear at the outset, since I have been known to make up “letters” from imaginary “readers” now and then. But the following letter is quite real, as is my reply. The person who wrote to me, earlier this week, suggested that I might post the exchange (so long as I deleted his/her name), in the hope that s/he could get some further advice in comments. So, dear readers, if you have further advice, offer it in comments! After reading your “Employment of English” at the tail end of my master’s in literature in 2007, I had pretty well sworn off my fanciful idea of becoming a professor. I come from a modest background and my parents have been hit pretty hard by the recession, along with most of my extended family. Making those kinds of sacrifices of time and lost income with very little hope of a job at the end just seemed dangerous to me. John Hinderaker’s point is well taken. No one has the right to take public funds just to make stuff up and pass it along as science. And “academic freedom” could well suffer a greater crisis of legitimacy from that kind of abuse than from the interference of meddling politicians. Conservatives are, not to overlabor the obvious, marginalized in the cultural elite, even though they are powerful in the political elite. (At least some of the time, anyway). Obviously there’s been an enormous amount of ink shed about why this is, but my experience of talking to people who might have liked to go to grad school or work in Hollywood, but went and did something else instead, is that it is simply hogwash when liberals earnestly assure me that the disparity exists mostly because conservatives are different, and maybe dumber. People didn’t try because they sensed that it would be both socially isolating, and professionally dangerous, to be a conservative in institutions as overwhelmingly liberal as academia and media. It is indeed hard to be a conservative in American media. One is always wondering, what if I get something wrong? About something important, like maybe a health care debate or a war? Will I lose my job and be subject to public ridicule for the rest of my life? And then there’s the question of what kind of plane to buy, which country club to join, whether to vacation in the Caribbean, central America, or the south of France. It can be terribly socially isolating. The point that must not go unacknowledged is that there is no way University of Alabama- Huntsville students can feel safe on campus until professors are permitted to bring guns to faculty meetings. Apparently, David Beito agrees. Well, thank goodness somebody’s finally thinking about the children. In reality, the question of whether professors should bring their .45s and glock nines to faculty meetings has very little bearing on student safety. But it would definitely raise the stakes for the discussion of whether to revise the Literature Before 1800 requirement of the English major. Scott Brown’s election this past Tuesday offers the Democratic Party a new hope. A new hope for a politics of modesty in place of the politics of arrogance; a new hope for a politics of cooperation in place of the politics of demonization. Democrats might not realize it now, but they have before them a historic opportunity to seize the day and regain the trust of the American people for at least a generation. By turning their backs once and for all on the scorched-earth approach of the party’s liberal wing, Democrats can consolidate their legitimate gains while cutting loose their least reliable partners. They have the ability; all they need is the will. The problem—if there is one—is that time is tight, and the party will need to move on several fronts at once. What follows is not an exhaustive list, but rather a series of first steps Democrats will need to take if they are to remain a meaningful majority party. Should Down Syndrome Be Cured? The guest post here on Friday—about the birth of Cash Van Rowe during a blizzard, and the jolting news that he had Down syndrome—led many of you to leave comments for his parents, assuring them that the road ahead was a journey they would cherish. But what if Cash’s Down syndrome could be cured—or, more precisely, be mitigated? Apparently that’s the inscription at the base of the new “young Barack Obama” statue recently unveiled in Jakarta—on a site that was once an athletic field used by Obama’s elementary school. In what appears to be a deliberate provocation to the American right, the young Obama holds in his left hand a crumpled copy of his Kenyan birth certificate, which according to the laws of Othercountriestan entitles him to Indonesian citizenship. Rumors that the base of the statue contains hidden “death panels” are as yet unsubstantiated. “We welcome the statue, which is designed to give Indonesian children the spirit to become President of the United States,” Central Jakarta Mayor Sylviana Murni said. “There is a message through the young Obama statue that any child and anyone from any background can become President of the United States if they fight for it persistently—and make sure to destroy their original birth certificate,” she added. I like the direction this is going in. How to follow up a sublime and funky thread that has established four new internet traditions and killed at least two performers of Franz Schubert’s tempestuous piano Sonata No. 21 in B flat (D.960)? By having Catherine and Heathcliff audition for Twilight, that’s how.